I love that the words appear to be cut out of the base of the card, but that’s not the case. 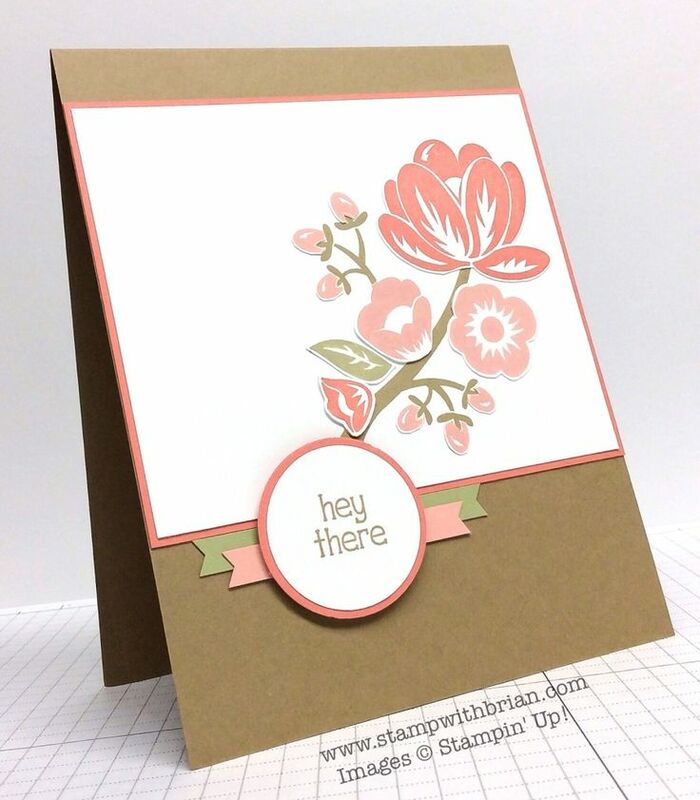 I stamped the sentiment on this fun background paper, snipped out each of the large letters, stamped the image on the Whisper White cardfront and then pieced the snipped letters on onto that image. So easy – especially with these large letters. I hope you enjoyed this paper-piecing tutorial. If you’ve never paper-pieced, I hope you’ll give it a try. In Case You Missed It. I mentioned this in my post on Saturday, but you might have missed it if you weren’t paying attention…Blendabilities have been turned off for now while Stampin’ Up! investigates quality issues. That means that they can’t be ordered or added as Sale-a-Bration freebies. For Being You would be wonderful with Blendabilities, but until they are up-and-running again, I’ll be content with paper-piecing the “thanks”. I can tell you are a confident fussy cutter. Mine always look awful! Well done! Wow! This is the perfect set to paper piece! I like that you used dsp for the Thanks . Most would go for coloring those letters in with pencils or markers . It really made your card so colorful and different . Great video with such good detailed descriptions ! Judie, this is just a suggestion. If you are using a desktop computer with added speakers, you might try checking to see that they are connected to each other properly. On my old model (before laptop), I had to connect either the left or right speaker to its opposite and then to the adapter. Maybe one of the connectors is loose. It’s so frustrating not to be able to hear, isn’t it! Thanks, y’all! I hope these suggestions help. Love the effect you got paper piecing this set. The card design has enough white space I would feel confident using some of my “busier” DSP. Thanks for the video as well. It clarifies things for us visual learners. Great cards and great technique! Thanks for the video! You got me! I was looking at the examples for paper piercing and was totally lost until you explained the loss of the “r” and that we were piecing paper together. Too early on a Monday morning for Aunt Deb to get that. Love the THANKS card. That piecing really is dynamic. Thanks and see ya soon! Great video and amazing paper snipping. How do you ever get the centers of letters like the A so perfect? 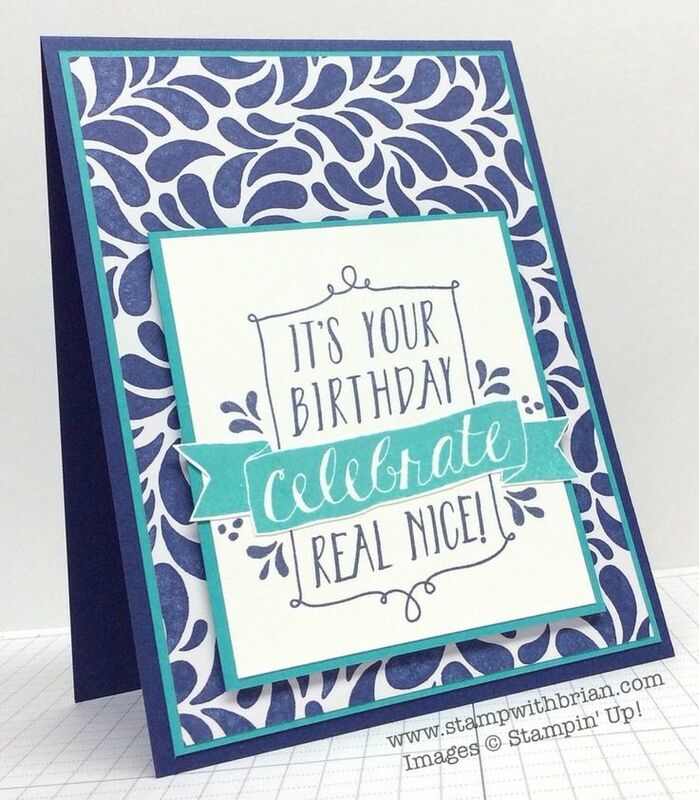 I really like that thanks card – pretty, plenty of white space, to the point! My kind of card. Thanks for sharing the tips Brian. You are such a dear. Great info video…love how easy you give directions and info…did not want this set but now I do! Thanks a lot! In this fast pace world we live in, it’s easy to ‘miss hear’ or think ‘I know’ what someone said. I too thought I heard the R, thanks for slowing me down. It’s more work, however; the paper piecing is so much more rewarding. Thank you Brian, for this beautiful card, great video and detailed explanation. What a great idea to stamp the THANKS on DSP and, again, your paper snipping is flawless. 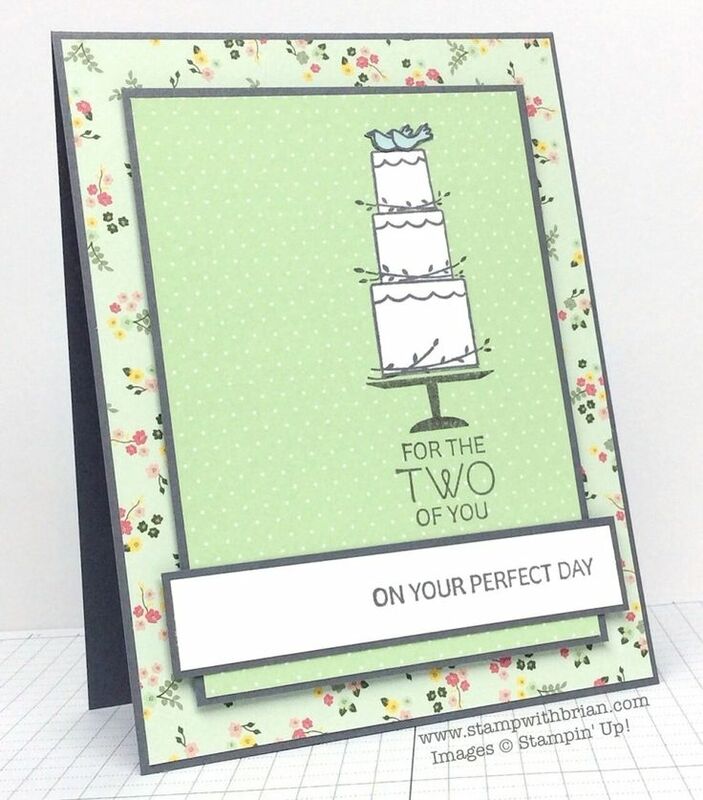 Your card is beautiful and colorful and the video is full of wonderful tips, thank you for sharing. Brian, you have to stop making me want stamp sets that weren’t on my list! That thanks is gorgeous pieced with DSP. Love it! WOW! Thanks for the inspiration…I have been “Paper-Piecing” all afternoon…great way to use up scraps! 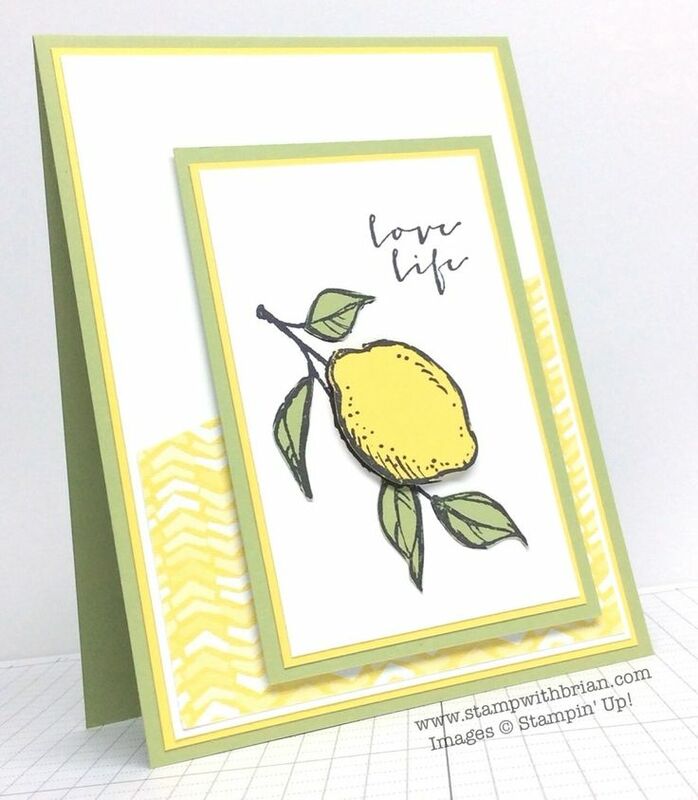 Did the lemon in yellow and white gingham and the leaves of the branch in striped green and white! Sooooooo many possibilities! I don’t know what has happened, but when trying to watch any of your videos, all I see is a green background and hear your voice-No picture no matter what I push. HELP. Lorie, I am so sorry you are having a problem. I have no idea why my videos would not show if others are. Are you able to watch other videos – just not mine? I’ve verified that the video is running on my laptop and iPad. Sorry – I hope you are able to figure out what’s going on. Video and cards great, Brian! Paper piecing is not my favorite, I really like it but my cutting skills are not great. May I send mine to you? That set DOES scream to be paper pieced, love it! Totally awesome Brian. Love what you did with the Thanks card, as well as all the other examples. I like to snip too, so I’ll give this a try. I love your paper piecing. When you did the lemon card it was an “Ah ha” moment for me. I had never thought to stamp on colored cardstock in order to cut it out.